Kale is thought to be one of the first cultivated brassicas, some 2000 years ago. It was the most widely eaten green vegetable in much of Europe until the Middle Ages. Colewort, its wild ancestor, still grows along the coasts of western Europe. 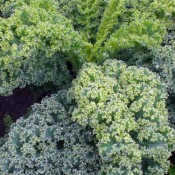 Kale has been particularly important in colder regions due to its resistance to frost. In nineteenth century Scotland, “kail” was used as a generic term for ‘dinner’ and then as time passed, eventually the vegetable was given its name. Most kales have thick stems and robust leaves that do not form a head. The distinctive earthy flavour goes well with pork or bacon and the leaves can be substituted in almost any cabbage recipe. The young leaves can be used in salad. Kale makes a striking addition to beds and borders where the foliage creates a good backdrop for plants with brightly coloured flowers. 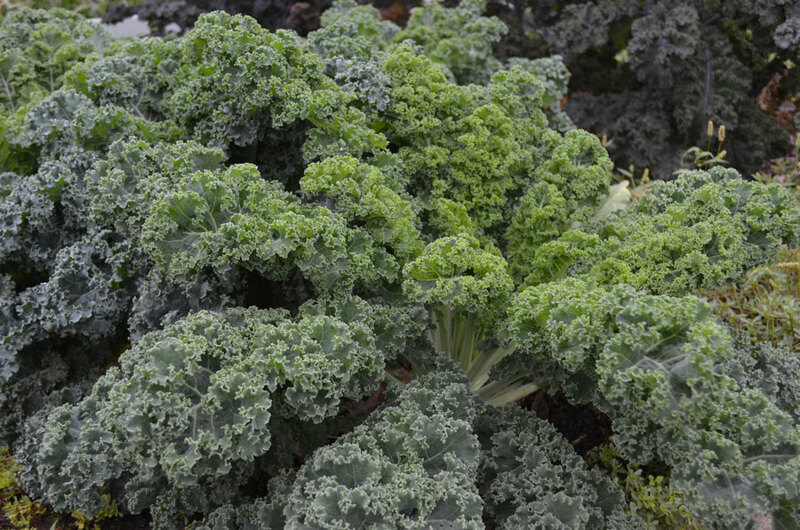 Kale is the easiest of all brassicas to grow because it is very hardy and it tolerates adverse conditions. It can withstand cold temperatures and its sugar content increases due to the exposure of frost. Plants thrive best in full sun and rich, well-drained soil with a neutral pH. 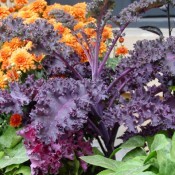 Companion plants for kale include beets, cucumber, swiss chard, lettuce, and spinach. Also, chamomile, garlic, and dill are known to improve growth, health, and flavour of kale making them great companions. Do not plant kale with tomatoes or kohlrabi because they will stunt each other’s growth. Kale is good source of vitamin A, B, C, and E, folic acid, iron, calcium, potassium and phosphorus. Kale contains the highest levels of beta-carotene found in any green vegetable. Tender young leaves can be harvested a few at a time once the plant has good growth. Pick leaves from the bottom up as needed. You can keep harvesting kale even when the temperatures fall because it tastes better after a frost. In the spring, the flowering stems and buds of the overwintered plants can be eaten. 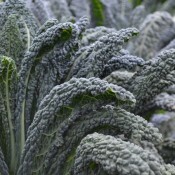 Kale is best eaten within one or two days after picking since the longer it is stored, the more bitter its flavour becomes. Kale should be wrapped in a damp paper towel, placed in a plastic bag and stored in the refrigerator. Do not wash before storing since this may cause it to become limp.